This snippet allows you to limit submissions to any (or all) Gravity Forms per a time period (i.e. 30 minutes, 24 hours, 2 days, etc) by a user ID, user role, IP address, a specific form URL, or the value of a specific field. Improve Gravity Forms validation errors for mobile users by automatically focusing on the first field with a validation error. Hello, wizards. The Gravity Forms Populate Anything Early Access Beta has arrived (whew, that’s a mouthful). Here’s a quick demo video showcasing the very tip of this powerful perk’s functionality iceberg. A comprehensive guide to Gravity Forms eCommerce and the addons, snippets and tutorials you need to amplify your eCommerce store using Gravity Forms. Hello, wizards. The first stable beta of Gravity Forms Populate Anything will be going out to the users who signed up today. If you’d like to get early access to this perk, drop us a line via support. Hello, wizards. We getting so very close to a public beta for Gravity Forms Populate Anything. A simple idea has turned into a very robust plugin. Hello, wizards. We wanted to highlight a cool feature of GP Multi-page Navigation that was previously undocumented: the ability to start the form on a specific page. Rounding by increments allows you to round a number (up or down) to the nearest increment of n. If n were 25, 26 would be rounded to 25, whereas 49 would be rounded to 50. A simple, code-based solution for creating conditional logic rules based on the current time. Works anywhere Gravity Forms conditional logic is supported (i.e. fields, confirmations, notifications, etc). Hello, wizards. I was interviewed by Brian Link over at The Plugin Economy. 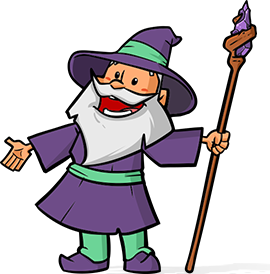 Learn more about how Gravity Wiz was born, how Gravity Perks came to be, and our plans for the future. Wizards, I’m back. We have 39 days until my next trip. Let’s see how much we can get done. . Clay is working on two highly requested features for GF Nested Forms: populating data from the parent form into the child form and exporting child entry data along with the parent entry data. Hello, wizards. This is my last week in Croatia. It’s been a blast but I’m ready to come home and get back up to full speed. Hello, wizards. I write to you now from Split, Croatia. The weather is beautiful, the coastline is gorgeous, and the Adriatic Sea is sparkling. Way, way back in 2013, I launched Gravity Perks as a solo developer with 9 small, single-purpose perks. That was the original vision: create small, single-purpose plugins for Gravity Forms pillared by reliable support and good documentation.